10 Days Under The Sea is rated 3.5 out of 5 by 26. Rated 5 out of 5 by Suelovesgames from Psychedelic Fun This is very relaxing.The scenes and also the background music has a psychedelic vibe which really chills you out and adds to the atmosphere of the game. I don't normally like background music in games but it compliments this one very well. This is quite an old school game. It has straight forward hidden object scenes with some puzzles in between and you can skip puzzles straight away.There are limited hints, only four hints in each chapter but there are also four other special bonus hints that you can acquire in the hidden object scenes. Each chapter consists of five underwater or island scenes and you go to different countries in each chapter. Lots of different fish pass by regulary. If you feed them, you get heaps more fish passing by and there's a chance of getting a fish with a question mark on its body. i.e a much needed extra hint. 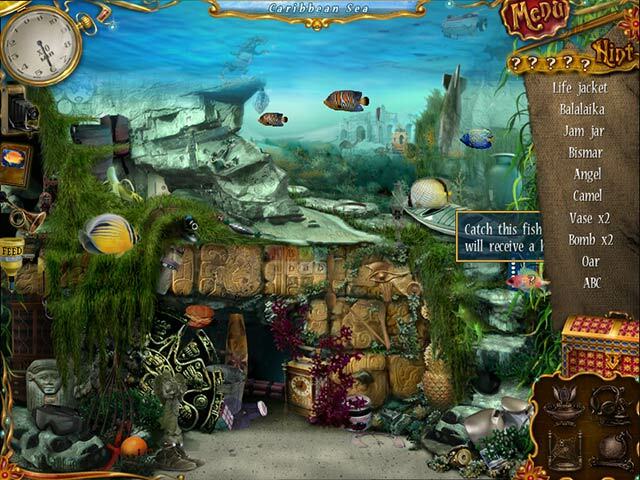 You can also scare the fish away, in order to see the hidden objects better. You also get to take photos of the many varied fish, which go into an album. There is some photography skill involved here and that's almost like another game in itself! The re-playability is also very good. I'm playing it for the third time right now. Rated 5 out of 5 by zellazip from great game such a lovely colourful h.o.g. I really enjoyed this game. can recommend this to any age. you wont be sorry getting this one. Rated 5 out of 5 by dottus123 from Classic Hidden Object Game I loved it. I like to play straight hidden object games. I have to think enough at work and when I sit down at a game I just want to relax. If you like HOGS without all the adventure and puzzles you'll like this. I had no technical problems at all. Rated 5 out of 5 by lucypm46 from Great Game! If you love hogs you will love this game. Only hidden objects....no need to find this item to interact with this item to find that item. Rated 5 out of 5 by rainslyn from Unique, addicting Hidden object game The graphics are great and the added photo album can lead to an addiction that makes you unable or unwilling to stop. Story line was lost somewhat by the game itself, unsure it was all that important. This one I'll buy. Well done! 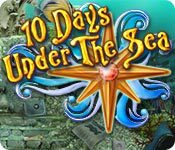 Rated 5 out of 5 by rainbowtree from 10 Days Under The Sea Interesting storyline with closure. Graphics are crisp and soundtrack is acceptable. 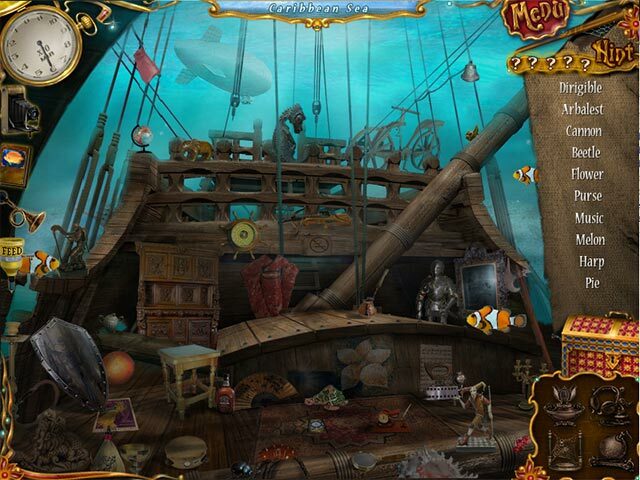 Hidden objects are reasonably easy to find, although many are not consistent with the scene depicted. As you capture photos of the various types of fish, they appear in your photo journal. When you capture great photos of over two dozen species of fish, you are awarded a golden goblet for the "Best Naturalist Photographer of the Year". So, in addition to having fun photographing the various fish, you are also learning about them. Rated 5 out of 5 by mspaws from Excellent HOG Good story line, entertaining and lots of HOGS!!!! I really enjoyed playing this game! Rated 4 out of 5 by janmo8225 from Xray eyes? 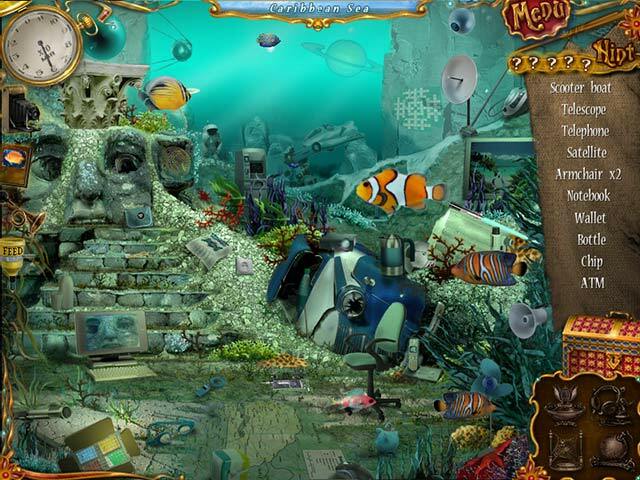 This is a real Hidden Object Game but somethings are too hidden. Hard to see some things.